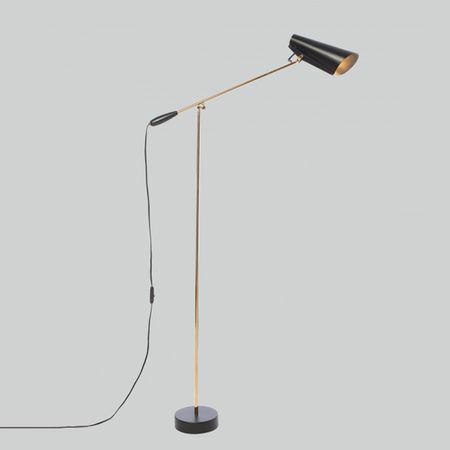 Caravaggio read floor lamp by Fritz Hansen can rotate 260 degrees around its own axis thus giving the user an extraordinary degree of flexibility. The floor lamp is fitted with a 3-step touch control dimmer. Steel and zinc / Hand blown opal glass.